The Tarot card for today is the King of Pentacles (Generosity). 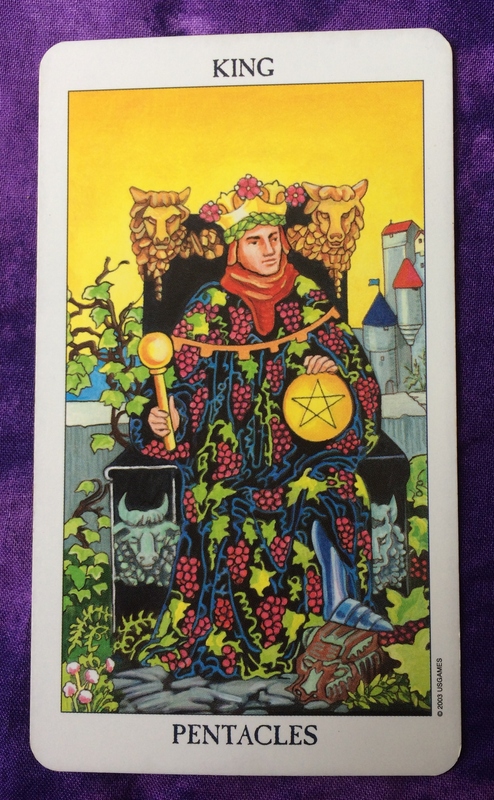 It can’t be a coincidence that the King of Pentacles is our card for today. 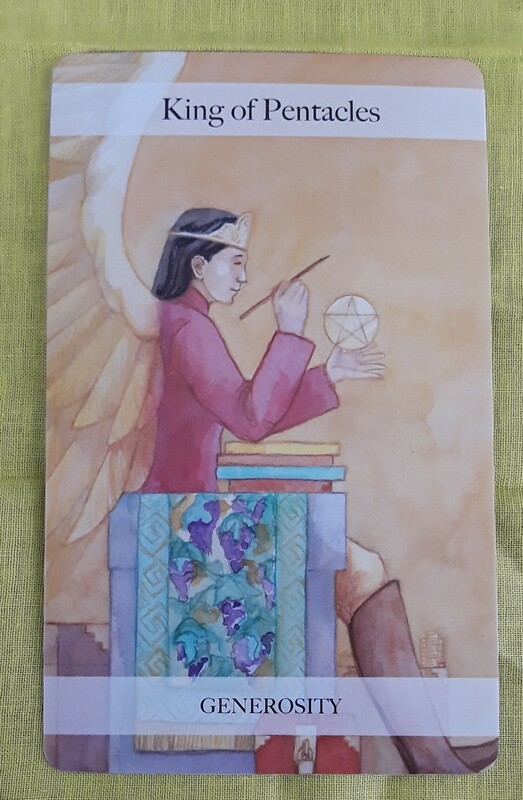 The suit of Pentacles is associated with the element of earth—the material world, practical matters, and especially with the King, abundance and the ability to manifest. With today’s new moon, we are entering a time period of new beginnings where our ideas can become reality if we put in the work. In addition, Uranus is coming back into the earth sign of Taurus today. 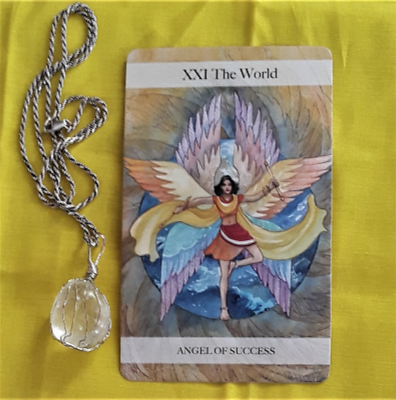 Over the next 7 years, expect changes in the world and in your personal life as it relates to money and ideas of what is considered to be valuable. Think outside of the box when it comes to finances. Look at ways spend more wisely and to give to humanitarian causes, as well. The Tarot cards for today, Saturday, and Sunday are the King of Pentacles (Generosity) and the Queen of Cups (Sensitivity). Who knows: Is this a match made in heaven? Is it the strong masculine financial provider meeting the sensual and loving feminine essence? Sounds good to me …. It could be that you will focus on developing these two energies within yourself. Hopefully, though, you will have a classy, romantic time! The Tarot cards for today, Saturday, and Sunday are the King of Pentacles (Generosity) and The High Priestess (Angel of Power). It’s interesting that today (Black Friday in the U.S.) is the so-called official start of the Christmas shopping season. So with this King of Pentacles, we are asked to be generous but spend wisely. You work hard for what you have. And when it comes to advertising hype, the High Priestess shows that you can look behind the veil and see things the way they truly are. For instance, I am so often tempted to give in to “Buy two, get the third one free” or “Buy one get the second one at 50% off.” These always sound like great deals, until I realize that I only truly need one of that item — and with that being the case, it’s much cheaper to just buy one! So use your sovereignty to realize that you don’t have to react to such to sales tactics. You have the power to decide for yourself what is best for you. The Tarot card of the day is the King of Pentacles. 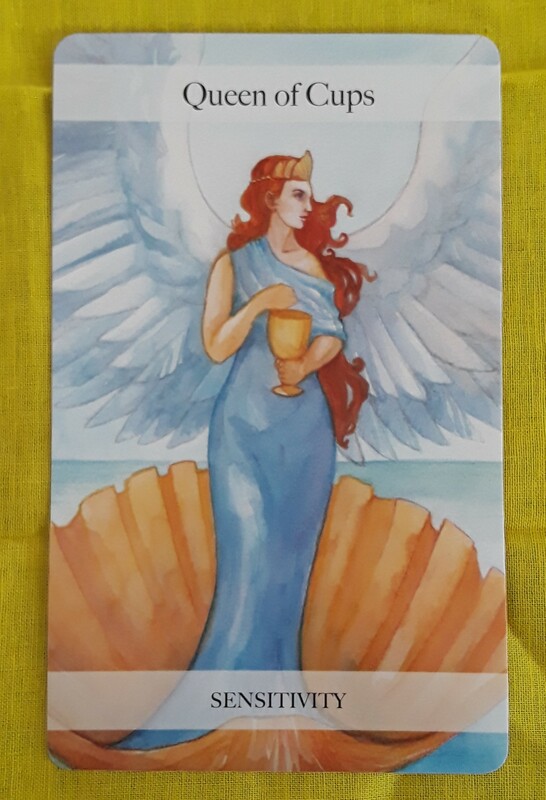 This card continues what I see as being a theme this week of maintaining balance and staying grounded in reality. 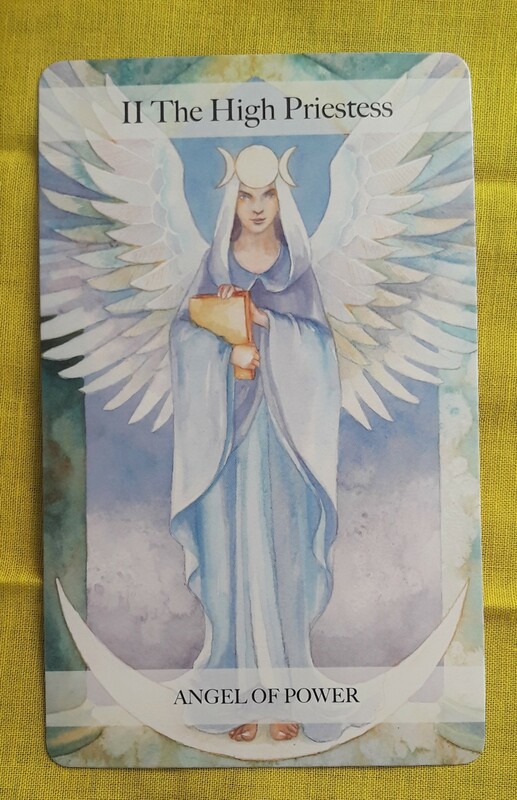 We are trying to steer away from the overthinking and worrying of yesterday’s card. The King of Pentacles is a master of the type of balance we need. He is able to keep his feet on the ground to become one with the Earth. He is comfortable in his surroundings whether it is at work, at home, or anywhere. He is a keen observer. He makes his decisions based on what he can see, hear, taste, touch, and smell. With his solid foundation, he is able to manifest materially what he needs to provide for himself and the people he loves. Tap into this energy. Today’s card is the King of Pentacles. Like the energy of yesterday’s card, the King of Pentacles indicates that you should attend to practical matters today. But unlike yesterday, when you may have felt a little stuck and bored, today you are in the groove. Not only are you ready to take on the challenges of everyday life, you are going to see the results of your perseverance. That’s what it’s all about, isn’t it? Working hard is good but manifesting a return on your investment feels great! Good morning! The card for today is the King of Pentacles. It is likely that you are feeling confident about your finances. You are getting your budget together or you may already have a plan in place Either way, you are working hard to achieve your material needs and wants. The hard work will more than pay off. Don’t overwork yourself, though. Maintain a healthy balance. The card for today, Saturday, and Sunday is the King of Pentacles. The focus is on stability, organization, taking a good look at your financial situation, and being grounded. You may spend some time paying bills, making a budget, and thinking of ways to increase your wealth. Now the time to move forward with a business idea that could potentially make you more money. You could also think of ways to make better use of the money you have. How can you cut down on unnecessary expenses? Are there ways to get the same or better quality of the things you like while spending less? How about finally deciding to develop responsible spending habits? Doing these things can help you now and far into the future. It’s not all about cutting back, though. It also is a good time to appreciate quality over quantity. Instead of pulling up at the fast food drive thru, treat yourself to a nice dinner at a sit-down restaurant. There’s no use in working so hard everyday and not enjoying the fruits of your labor once in a while. You may spend time with someone this weekend who will share their wisdom on financial matters with you. You could benefit from that guidance. Or else, you could be the one to be a source of information for someone else. Whatever you do this weekend could lay the foundation for increased income as we head into next week and the weeks to come. Good luck!